The CAS-JIC Centre of Excellence for Plant and Microbial Science (CEPAMS) brings together three world-leading laboratories in the UK and China to support the global aspirations of food security and sustainable health care. The Centre nurtures excellent science and focuses on the improvement of food crops and the production of high value, beneficial products from plants and microbes. Culture and spirit – CEPAMS is built on trust and friendship. Members of the CEPAMS Community expect of each other both scientific rigour and cross-cultural respect. The Centre is a collaboration between the John Innes Centre and two institutes of the Chinese Academy of Sciences (the Institute of Genetics and Developmental Biology and the Institute of Plant Physiology and Ecology). The Centre was established with funding from the Chinese Academy of Sciences and the UK Biotechnology and Biological Sciences Research Council. The Centre of Excellence is physical rather than virtual – it has dedicated laboratory space and has established new research groups to address the mission above. 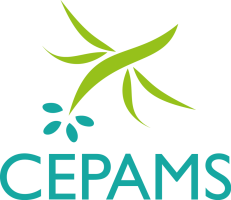 CEPAMS group leaders are affiliated with IGDB or SIPPE. Their labs are housed either in Beijing or in Shanghai. CEPAMS group leaders have the privilege to conduct their scientific research in JIC, to co-operate with JIC faculty, and to attend internal academic meetings at JIC. The partnership between the John Innes Centre (JIC) and the Chinese Academy of Sciences (CAS) is built on a strong history of scientific links which stretch back to the earliest days of UK-China research collaboration. For example, former Vice-President of CAS, Professor Zhihong Xu was a visiting researcher at JIC in 1979. JIC now counts over 100 scientifically active alumni in China, many of whom have reached senior positions in the Chinese science system (one of them was Theresa May’s host during her visit to a Chinese agricultural research centre in 2018). A group of these alumni initiated a discussion of the “JIC in China” concept which directly led to CEPAMS being developed by JIC and CAS.